Real People, Real Results from Around the World! “With all of my inquiries or purchases your customer service representatives have been excellent. The phone has been answered by a “real person” and that person has always been peasant, knowledgeable, and conveyed a willingness to help. They should be congratulated and appreciated” - Mac R.
“I recently purchased an engraving kit from your company. When it arrived I was pleasantly surprised to find that someone had included for me a gunstock training dvd at no cost. I greatly appreciated this gesture. I immediately took a gunstock from an old repair job and with a first attempt produced the product you see below. I am very impressed with the quality of your product” - Tom G.
“Thank you very much for the great service that has gotten me back to work in record time. You are the best! I appreciate all your efforts and will not forget what you have done for me”- Pat M.
“WE are looking forward to this new venture, and cannot thank you enough for working so closely with us and being so patient. I believe we will have a very successful business relationship with SCM, in the future as we have had in the past”- Debra S.
​I certainly appreciated the gracious manner in which you respected my needs. Your ability to believe in people is highly commendable. ​This is my dream tool. “Hi SCM. 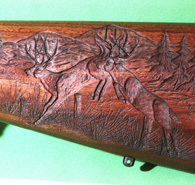 Here are some photos of my carvings on some gunstocks. I have so many requests for designs. I can do so many types of styles. I go in many different directions. I used to do this with hand tools. It took forever; not to mention how hard it was on my hands. This is my dream tool. 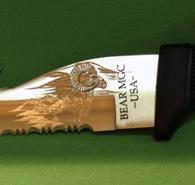 Thanks again…"- John C.
“I now feel that I can take my hobby to the next level with the ability to engrave and carver gunstocks…”- Jerry M.
“I’m not slow; I just take my time. I told you 2 or 3 years ago that I would send you my business card, and I finally got around to it. Here are a few pictures of just a little of what I’m doing. I’m not done with my truck yet. 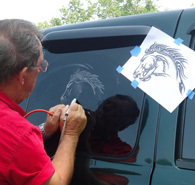 I’m waiting on just the right picture of an eagle; then I’ll put it on the back window. I figure, if somebody steals my truck, they’ll have to replace all the windows immediately. Having fun…”- Bill D.
”The first time I talked to you about your 400xs I said to myself, this is the company I want to do business with"
“Dear SCM, I really don’t know how to say this. I couldn’t get over your kindness, nobody has ever done this for me before. The first time I talked to you about your 400xs I said to myself, this is the company I want to do business with. You did not give me any BS and were not rude on the phone and you were a very nice to talk to. The engraver came at the right time. It is so much easier to do all of my fine detailing on my carvings thanks to SCM. I will be sending you some photos of my engravings. My wife does all the fine detail painting. With the 400xs I know I can do better detail withal my engraving. Your engraver has given me the opportunity to prove it. Thank you so much.”- Jim W.
“Enclosed are photographs of some of the work I do using the 400xs. The photos are out of focus because I did not use my glasses when I took the pictures. Thanks for all of your support throughout the year. Your friend…” - Robert J. 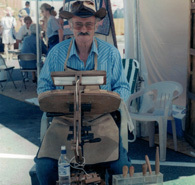 "I have been engraving for six years with the power carver. This is my most important tool I own." “Here are some photos of my piercings. 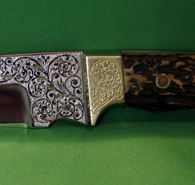 I have been engraving for six years with the power carver. This is my most important tool I own. I have been able to change my entire designs because of the detail capability. I carve for hours at a time. If you are ever down this way in New Zealand, you’d be most welcome to get in contact and I’d show you around. Thank you for your prompt help, I appreciate it” - Gordon P.
"This is therapy for me. This wonderful tool has allowed me to be so creative. 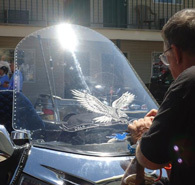 I carve hours at a time"
“If you are looking for best in class in the high speed engravers. “Thank you for your personal, professional assistance that you provided both, before my purchase of the System 3 and after I received the equipment. I am enjoying this excellent technology which provides a new medium of expression to add to my craft business. I look forward to working with you and SCM in the future” - Ken T.
“I was nervous about ordering online. The folks at SCM were so good to talk with. They helped me pick out a system that was perfect for what I was doing. The delivery was so fast. I love this tool. You will have to pry this out of my hands. This has total control” - F.D. ​"I cannot tell you how easy you and your company have made this process for me." “I cannot tell you how easy you and your company have made this process for me. In the past I have had difficulty with buying stuff online. I have been looking to start a business for the last six years and caught wind of your website. After dealing with you, and other staff at SCM I realized I wanted to continue doing business with you. I started my business on July 3rd, just got it completely set up yesterday, and made my first sale today!” - Charles R.
“Received System 3 yesterday and started using my new system already. It is very easy to use and found within a few minutes my comfort zone. How wonderful it was not to have oil shooting all over my eggs. Enclosed are photos of my street rod and eggs. If you look closely, you can see the etched rose on my window directly above my side-view mirror. This is what started everything almost 8 years ago. It was so nice talking to you-thank you for your time” - Linda R.
“I just wanted to say thank you for all the help this past year. I have been treated like a part of your family and I have appreciated this very much. You all should be commended on your friendly personalities and professionalism. It is a great pleasure to deal with a company like SCM” - Bill B. 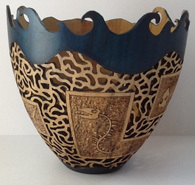 ​"Thanks SCM for a fantastic engraver"
“I started engraving and carving about four years ago. Carving has always been my favorite past time. 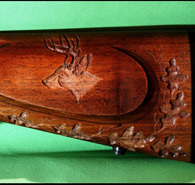 Being an artist, gunstock carving came naturally to me. My grandfather was a furniture carver from Italy. 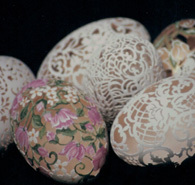 As I got used to the machine, I began to experiment with egg carving and glass engraving. Now I am practicing metal engraving. More and more people are hiring me to do their gunstocks. My husband owns a gun shop, and we go to the gun shows. 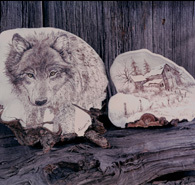 We show my engravings and egg carvings at the shows. 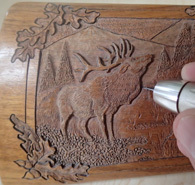 Thanks SCM for a fantastic engraver” - Carleen G.
​"The DVDs were a big help in getting going on this carving venture"
“The first time I tried it was a little scary, but that soon passes. The SCM is a great tool and I really enjoy working with it. 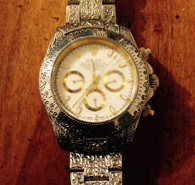 Again, thanks for your help in getting me going with a new venture…” - Don J. ​"Today I spoke with you on the phone and was very impressed with the professionalism that you displayed during our chat"
“Today I spoke with you on the phone and was very impressed with the professionalism that you displayed during our chat. I was happy to get the chance to talk about your company and equipment. Thank you for taking time with someone who owns someone else’s equipment, but being willing to help even knowing that they may not buy the complete package. Again thank you for your understanding and willingness to be there for us” - Louis K.
​"Thank you to all your helpful staff for prompt & excellent technical advice. I hope we will have a long and mutually beneficial business association"
“Thank you to all your helpful staff for prompt & excellent technical advice. I hope we will have a long and mutually beneficial business association. I am so glad I saw your original advertisement in my husband’s hunting magazine. I’m getting the hang of the developing process now and I am looking forward to a busy and hopefully successful business year next year. Thank you again” - Dawn K.
​"Thank you for such a great tool and providing me with our new venture. Thanks for all the advice; truly priceless"
“In the last three months I have engraved over 3,000 cake pans. I engrave the buyers name and one of 26 designs. The cake pans are popular among those who carry food to potluck dinners or church events. They are sure to get their pans back. Thank you for such a great tool and providing me with our new venture. Thanks for all the advice; truly priceless” - Toni N.
​"Thank you again and always for your added support and encouragement…"
“I want to take this opportunity to thank you for the equipment, I’m very satisfied with it that I’m sending you my first work. This bell is for you to keep. I sell these bells at wholesale for $15 plus freight. I want you to see how soft brass is for engraving and how beautiful it looks engraved. 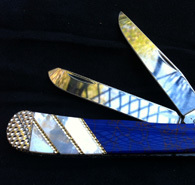 Once again, thank you very much” - Jules R.
​"This is the tool I have been looking for, for years! I cut through copper and brass like cheese!" “I just thought maybe someone there might like to see a few examples of my work. I’m selling well. Between, gunstocks, kitchen cabinets and hardwood slab/plaque carvings, I’m staying quite busy. Thanks!” - Mark E.
“First of all-I really love the 400xs-indeed I was able to do details that I just dreamed of before. Actually all my expectations have been surpassed by far” - F.W. ​"Thanks again for my engraver. I would be lost without it"
“This is #2 pine. I used 3 mil wash out which still provided a fairly deep cut without eating away the film. I had to stain it with the fill still on the board even though the board was finished with a seal as pine is a little porous and will accept some stain on the finished board. I was able to come back in with the power carver and add so much more detail. It is so smooth and easy to engrave with. Thanks so much…” - Paul W.
“Hi Folk at SCM. Here is my first attempt at wood engraving. I love this tool. 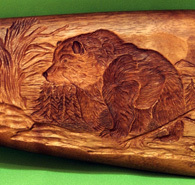 It is just like drawing with a pen!.” - Dave S.
“Some photos of the “Game Calls” that I carved using your SCM engraver. It’s a wonderful tool!” - David P.
​"We have a few years until retirement and this is a perfect hobby and business venture worth looking forward to..."
“I have enclosed pictures of some of the work I have been doing. As you can see, it is the perfect tool. I do sincerely love this tool, and I am extremely happy with what I can do with it. These are sheds I am engraving on. Again, thanks for your time” - Nathan B. “Here is a basket with basket weaving I carved. I could never do this with my slower speed dremel tool. This power carver has so much control, it stays right where I want it to go. Great tool!! !” - Dean W.
​"Thanks for helping us get started on a wonderful business"
“	Here are some of the pictures of our products that we have been able to create. Thanks for helping us get started on a wonderful business” - Laura & Charlie D.
“Thanks so much. I appreciate your assistance. You guys have been so easy and nice to deal with on all of our purchases. We really appreciate the great customer service” - Ettice R.
“A reporter and cameraman from a local TV station interviewed me concerning my egg sculpting. During the interview, I talked about the SCM Company and your very fine high speed machine. The piece focused on me, and my eggs, and the day after, when the story aired, people began trying to buy the eggs” - Ed C.
“I think it’s a wonderful tool and know this winter, I will get many hours of enjoyment from using it. I have been pleased with all the information and assistance you have given me” - Ed L.
“I have been using the engraver part-time for three years now and really enjoy using it. I especially like using it on wood. It is extremely fast and very smooth. Please feel free to refer my name to anyone that might be interested in buying your equipment or where I may be of some assistance” - Ron C.
“Here are some photos of urns we carve. We personalize them. We have standard or custom designs. The 400xs is so easy to use, we can add more detail faster than ever. The photos don’t do the carving justice. Thanks for a wonderful tool” - Susan M.